I am the GOAT. I am not a little guy. You are pleased to see Me where ever I choose to be. Should you upset Me I am likely to say, “Shut Up”. If you are lucky enough to see Me you should respond in the same way as My fans do, “I’m Welcome”. You’re welcome. David is a great guy and we all love him. But if you upset him you will make a lot of regrettings. You saw what happened at Queens last year. Even I make the smile and say “Hello David, may I give you My autograph?” when I see him. Leave David alone or you may find a tennis ball in your bed the following morning. If you upset Mr. Haas he may take you to the medical center to establish you’re feeling OK and have a full physical examinations. You will have no choice. If you pass the test he may make the suggestions you were making the fakings. Serena does not take prisoners. I am not saying any more. I like you Serena. Would you like a Lindt chocolate? Mr Harmans is a top journo who works for The Times newspaper. He lives in Downton Abbey. He deserves total respect. You can often recognize him in white trousers (finely pressed) and/or very fresh smelling pink shirt. He likes cucumber sandwiches and his favorite song is, ‘Land of GOAT and glory’. If you see hm, refer to him as, “M’Lord”. 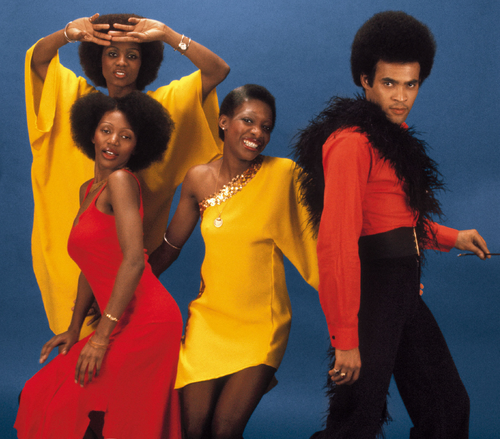 Mr Bradlings started his career in the 1970s pop band Boney M. After he cut his hair he got into tennis and is now a Super Coach and established author. His wife is a top Ambassador and works in the United Nations so please ask your staff to make notes on this as together they can make the pullings on a lot of strings. If you double cross Mr. Bradlings he will sit you down and tell you every sport statistic known to man. Judy will not react like Mr Nalbandian. She is calm, composed and polite. If you make the double crossings you’ll probably end up in her court as her full name is Judge Judy Murray. Her court is held in secret. People who have appeared in her courtroom have never been seen again. Mr. Australia, you need to make the ammendings here trust Me. Please ensure she is given the treatment of the red carpets and she has as much cake and chocolate as required. Now, let’s get on with the game. ← Australia 2013 – If a tree falls in the forest can you hear it? I can. You may wish to add David Ferrer and Marcos Baghdatis to Your list, O “Don’t Mess with Me” GOATy One. The former because, if one angers him, he will dig holes in one’s pavements, and the latter because–well, have You ever seen one of his serial racket murders? The deformations are quite disturbing. Always enjoy your musings, O Zen Master GOATMeister! Excellent blog O Master of the balls-speak. I was right when I said they would be coming along like the buses. Keep up with the ramblings as they are more entertaining than your day job which is often a night job and could soon be an odd job. Best wishes for your retirings from your devoted Andy fan. Now that You are mentioning upsets: Have members of staff already visited Stanis, in order to tell him not to get weird ideas of actually beating top players? I mean, he might even consider the option that he could actually one day beat You. After all, if he puts any belief in the ATP rankings, he might think allmost beating the number 1 means he can in fact beat the number 2?